Matt had been involved in the company since 2001. Heading our commercial division, Matt has made a name for himself in commercial venting, completing jobs with local hospitals, apartment buildings and churches. He pays impeccable attention to detail and has a wide range of skills. In addition to his commercial work, Matt is very hands-on when overseeing daily activities, supervising field operations, and construction site visits. In 2016, Matt became a partial owner of the company alongside his sister Lindsey. He has a strong level of commitment to embracing his family’s legacy while implementing change and growth along the way. Matt plays hockey in his spare time and enjoys spending time with his wife and two young boys. Lindsey joined BBC in 1998 as an administrative assistant learning every aspect of the industry and company. Lindsey embraced her chimney career, slowly working her way up the ladder to Vice President of Operations. Lindsey has been an integral part of the daily operations for the last ten years, implementing numerous policies, systems and procedures. In 2016, Lindsey became a partial owner of the company with her brother Matthew. She is dedicated to preserving the company’s family owned values while providing top-notch customer service from both the office staff and field technicians. Lindsey lives in Bridgewater with her husband and two daughters and plays in a women’s soccer league to unwind. Chad has been with BBC since July 2010. He has become an integral part of our organization showcasing his knowledge and abilities. Chad’s proficiency does not stop in the chimney field, before coming to us he was in the carpentry industry, making him a tremendous asset. Chad was promoted to a supervisor in 2016 and has embraced the role of mentoring our junior technicians. Chad commutes from Berkley, MA, where he lives with his wife and two young daughters. Rich, also known as “Red”, joined our team in April 1996. He is very calculated and reliable, staying until the job is done. Rich is a veteran of the United States Army, serving six years in airborne infantry. He is referred to as the “raccoon whisperer”, making his mark with animal removals. If you have unwelcome guests, he’s your man! 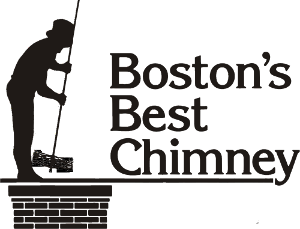 Rich is certified by the Certified Chimney Professionals, CCP. Following in his father’s footsteps, Kevin joined our team fresh out of high school in 2005. Over the years, Kevin has worked his way up from laborer to highly skilled technician, earning his CSIA certification in 2013. He takes his time with every project, which allows him to run a tight and tidy job site. Starting at the age of 17, Mark has been a part of our team since 2010. Mark has worn various hats within the organization, ultimately settling in as our resident mason. Mark is not afraid to take on large projects or even building his own scaffolding platform to gain access to even the toughest chimneys. Mark enjoys spending time with his infant son an intends to show him how to lay brick once he becomes mobile.